The Zen Parrot: Of Parrots, Politics, and Coffee: You Can't Have Just One! When Marguerite Floyd asked us to review her new book Cockatiel Lessons (http://www.crackedseedpublishing.com/), we weren't sure what we could possibly learn from a book about the writer's life with a little Cockatiel parrot she named Sugar Franklin. We are macaw people, after all. But we agreed to read the book. And we're glad we did. How does anyone become a parrot person? Sometimes years before a friend or relative had a parrot, and the memory of this exotic pet sparks a new interest in parrots. Sometimes a parrot picks a person, as it did when a Cockatiel parrot jumped on the author at a Lexington pet store in 1998. For ninety-nine bucks the parrot was hers. Marguerite's world now revolved around a little Lutino Cockatiel parrot named Sugar Franklin. Some people might consider living with parrots an obsession. Parrot people simply know that parrots, large macaws or small cockatiels, are high maintenance. Parrots are not like dogs and cats. Imagine caring for a pet with the emotional maturity of a three year old child and the intellectual maturity of a five year old. One that never grows up. As Marguerite describes, one lesson learned from living with a parrot is learning that sometimes it's the parrot training the person, not just the other way around. "Between expensive pellets in cloth-covered bags, new toys, Nutriberries, and books about parrots I soon had no disposable income. I resigned myself to being poor. As long as Sugar Franklin was happy, I was happy." The thankless chore of constantly cleaning up poop is another, less exotic, lesson of living with parrots. And then there's the lesson that most all parrot people learn unintentionally. Parrots are like potato chips. You can't have just one! When we got our first macaw Roxanne many years ago, we only ever intended to get the one. But once people realized we had a parrot, they began to offer other parrots to us. For free. The parrots they could no longer care for. Thus began our life in parrot rescue. We now have nine parrots. Like us, Marguerite discovered she needed another parrot. So she acquired an African Brown-headed parrot she named Charli. And then she rescued another Cockatiel parrot she named Flash. And yet another Cockatiel parrot named Nicholas. Apparently she's stopped accumulating parrots. For now. The hardest lesson for any parrot person to learn is the lesson of loss. And this is a lesson we know only too well. For us, the hardest part of Marguerite's book to read was the story of Sugar Franklin's decline and ultimate fall. We won't spoil the ending for the reader by delving into the details. Suffice it to say, you might want to keep a box of tissues close by as you finish the book. Sometimes it seems writing a book review is just as hard as writing the actual book. 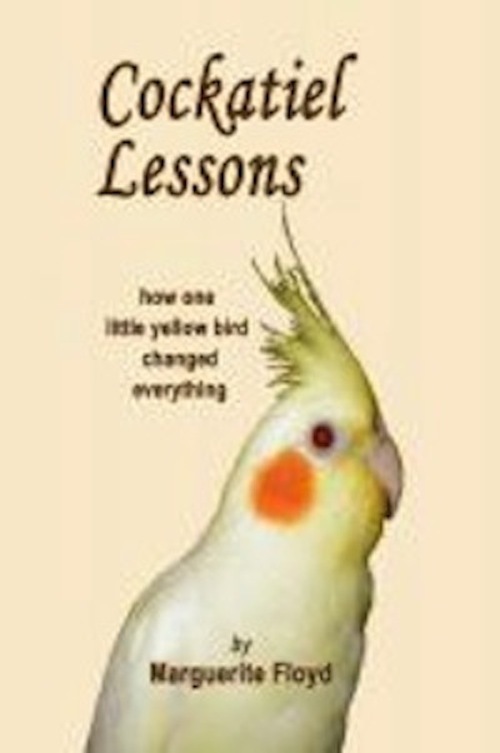 Cockatiel Lessons is one book we weren't sure we wanted to read. But we're glad we did. And we think you will be too. Marguerite Floyd is a writer, editor, and poet living in central Kentucky. She holds a BA in English from the University of Kentucky and an MFA from Vermont College. 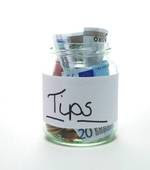 Retired from her job as the documentation manager at the UK Hospital, she now writes whatever she feels like writing, and does freelance editing for many strange and varied people. She also runs Cracked Seed Publishing, which publishes quality works about parrots and other birds. Her real job, though, is catering to her three small parrots' every whim. She is the author of Everyone's Daughter (poetry collection), The African Brown-Headed Parrot and The Parrot Reckonings. You can contact her via her website at www.margueritefloyd.com. Marguerite Floyd's books are available on amazon.com, Barnes & Noble online, and smashwords.com for digital versions.